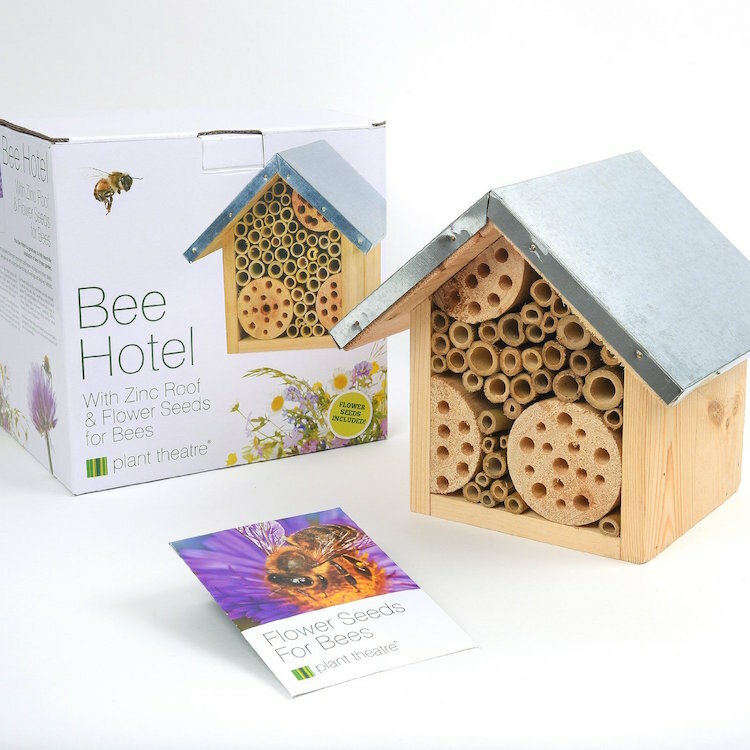 Bees' habitat is disappearing all around the world and they are crucial to food production. 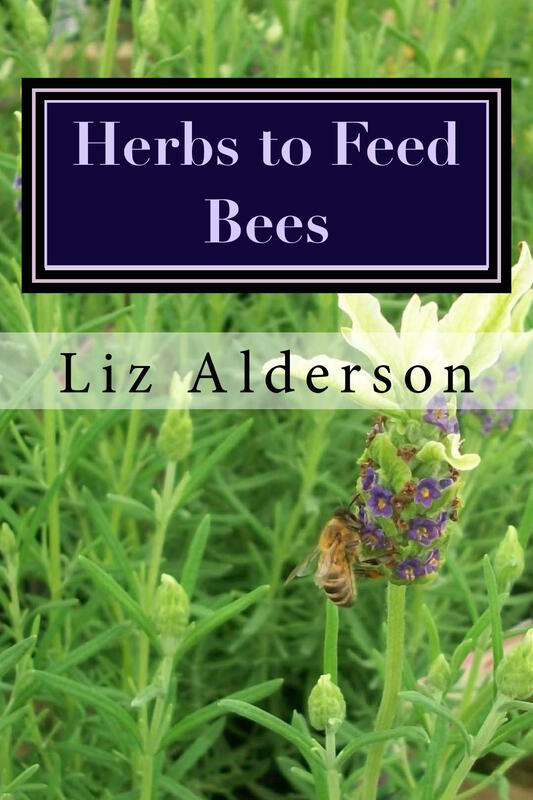 If you plant herbs to attract bees, you will be helping the local community. Town bees are doing better than rural bees and that's because of the diversity of planting - something in flower in somebody's garden, virtually all year. They are under threat from pesticides, farmers dragging out hedges to allow them to use larger machinery, from demanding more housing which destroys their natural habitat. Fewer of us are using our gardens in the traditional way - we're paving and decking rather than growing things. We need to address this before it's too late and one way is to plant herbs to attract bees. The advantage is that you will get some very useful plants which will enhance your food, provide home remedies in some cases, cosmetics in others - and they're good to look at! 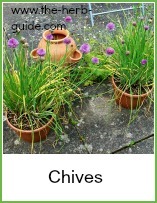 You can grow herbs even if you only have a balcony or small patio - they're perfect for small spaces. 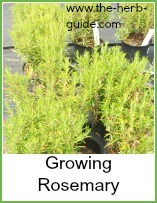 Click on the photos to go through to the growing instructions. 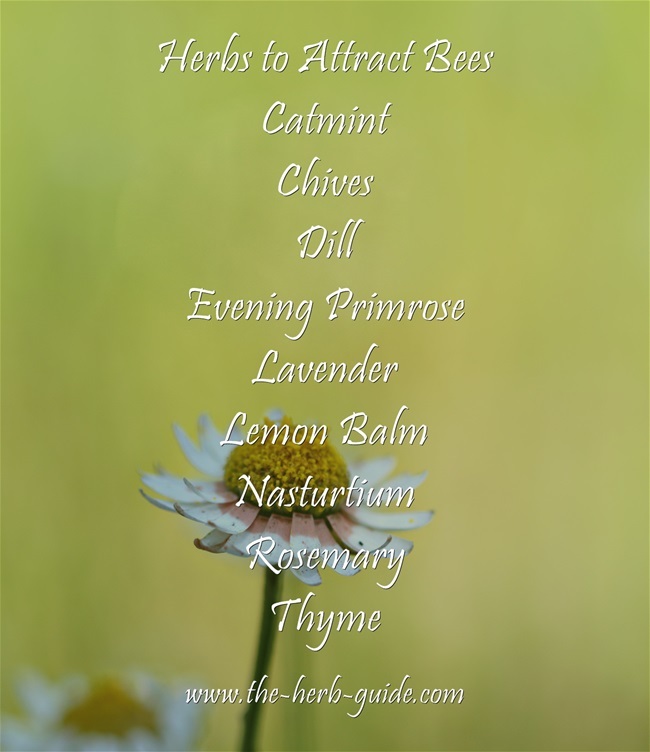 Find out which are the best herbs to grow to help to feed the bees. 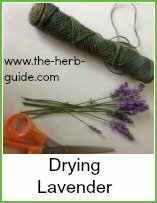 This book also lists over 150 different plants that you can choose to give yourself a great variety, it gives you instructions on how to preserve herbs, make herbal cosmetics and some basic remedies. Available as an instant download or a paperback. Find out more by clicking on the book cover. Beautiful dark blue flowers on minty leaves. It flowers midsummer to autum and is a perennial that grows to around 18 inches. 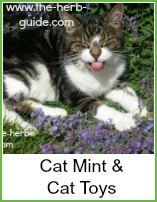 Your cat will definitely love it too - and you can make him toys out of the herb. Lovely feathery leaves which are very useful in cooking are followed by yellow flowers in midsummer. An essential for fish, seafood, eggs and vegetables. 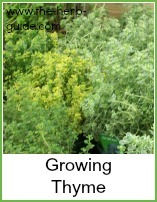 It's an annual, grows to around 2 feet and you can use the seeds as well as the leaves. Medicinal uses include assisting digestion and poultices can be used on painful joints. 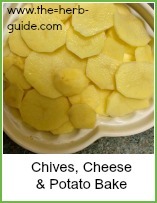 A superb culinary herb - mild onion flavor which goes with virtually anything. The beautiful purple globe-like flowers start in late spring and will carry on for 6 months. 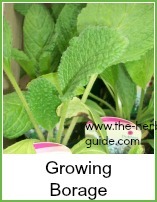 It's often the first herb to poke it's head through the cold ground and certainly earns its place in any herb garden. 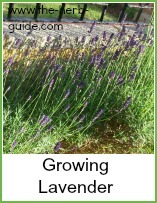 Fragrant stems, leaves and flowers - my lavender is a big attraction to bees. The flowers range from white through to indigo in late summer. 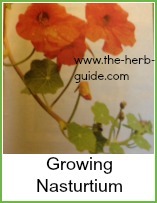 It has culinary, cosmetic and medicinal uses. Honey and lavender ice cream is one of my favorites. This will really attract the bees - its common name is bee balm. 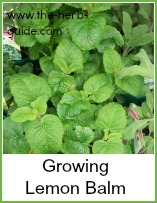 It has a lemon scent to the leaves and is a useful culinary herb, enhancing salads, poultry and fish. Also good in drinks. 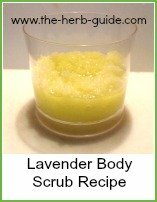 It is reputed to help with anxiety, depression, tension headaches and indigestion. White or blue flowers will last from midsummer until the first frosts. A cucumber taste makes it good for adding to salads and summer drinks. Flowers can be candied for cake decorations. It is grown as a commercial crop for use in drugs and cosmetics - it has a diuretic and anti-depressant effect. These brightly colored annuals will flower abundantly from mid-summer. They are peppery in taste and a good addition to summer salads. In Germany they are used as a herbal penicillin and if grown amongst veg, they protect against aphids, albeit they attract them - sacrificing themselves! A highly fragrant, evergreen shrub growing to around 5 feet with blue flowers in late spring and early summer. Culinary uses -all meat and poultry and strong seafood. Medicinal - digestion and circulation benefits. Cosmetic - hair rinse, darkens greying hair and can thicken thinning hair. 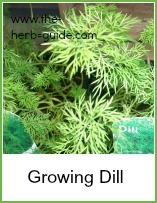 An evergreen herb with many different varieties. Most have pale mauve flowers around early to mid summer. Culinary - most meats, poultry and fish - most vegetables, eggs and cheese. Medicinal - digestion, coughs, catarrh and antiseptic. 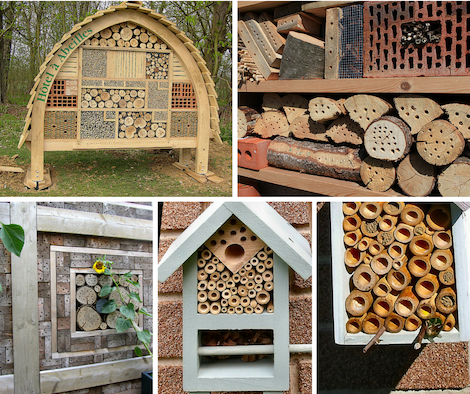 The insect hotels below are fabulous. You can make them from basic stuff lying around like bricks with holes in, twigs, pine cones, bamboo canes or logs with holes drilled into them. Just choose a spot in a shady corner of your garden where you can leave it undisturbed. You'll get all sorts of insects coming to stay. 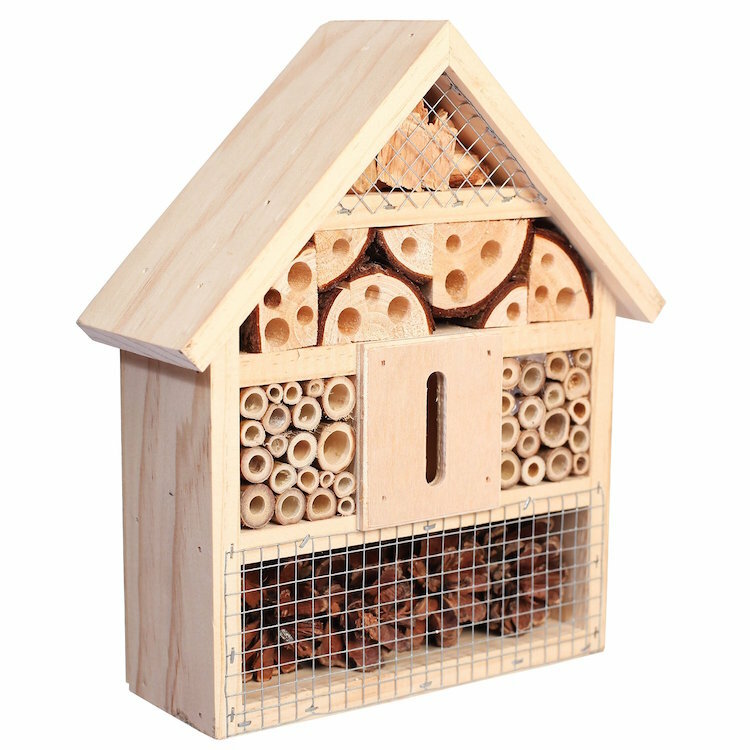 If you don't want to do any of that, or you don't have loads of space, then there are some gorgeous ready made bee hotels online. They make a great gift for a friend or an educational project for the kids. Links below - click on the photo next to the UK or US flag and have a look.